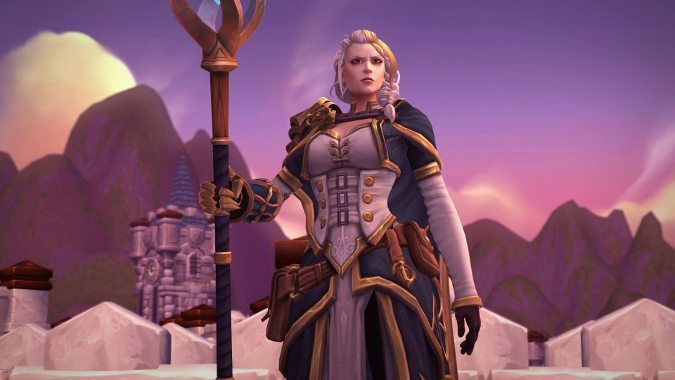 Of all the myriad characters in World of Warcraft, none is quite so justifiably fed up as Jaina Proudmoore. Her life has been a series of events that arguably would have crushed anyone else. But not Jaina. She’s bounced back from the pit of tragedy time and time again, each time with a new outlook and firm resolve. And each time she’s been systematically dismissed. I mean, look at the woman in the screenshot up above. That’s the face of a woman who has by and large had quite enough. And after two expansions of being summarily pushed aside, we’ll finally see what she’s been up to in Battle for Azeroth. The question is, of course, what has she been up to? And the answer is anyone’s guess. But if we take a look at Jaina’s past, maybe we’ll gather a little more insight as to what’s driving her in present day. 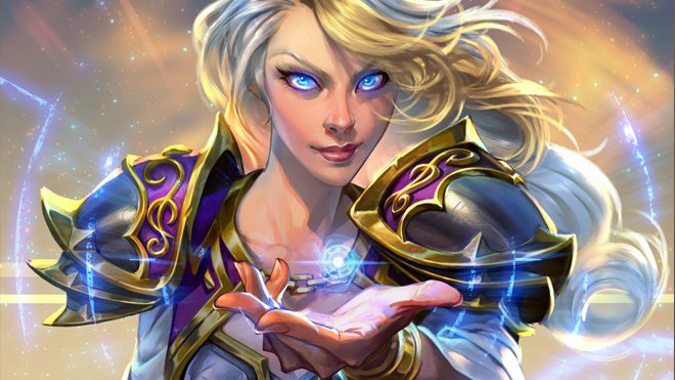 Jaina has always been smart — she was the apprentice of Archmage Antonidas, leader of the Kirin Tor. But studies weren’t the only things on her mind in her youth. She was also engaged to be married to Arthas Menethil, son of King Terenas Menethil II. It was a life she could have been happy with, but she wasn’t allowed to live it. Arthas ended the engagement abruptly, allowing Jaina to focus on her studies, and Arthas to focus on Lordaeron. So she returned to Dalaran and her duties, working alongside her mentor. But she never forgot Arthas. The two were eventually reunited while investigating a strange plague that broke out in Brill. They even rekindled their romance, but it was short-lived. The more Jaina saw of Arthas, the more she realized he was no longer the man she had loved. And all of this was set on a backdrop of horror. Lordaeron was falling, and Jaina was left with a decision to make — stay and defend, or take those she could and flee to Kalimdor. Archmage Antonidas may have ignored the warnings of the mysterious prophet, but Jaina chose to heed them. The last she saw of Arthas was a shadow of the man she once loved; leading an army of monstrous undead on the city she once called home. King Terenas, Archmage Antonidas, Uther, countless others that Jaina had known and grown up with — all gone, thanks to the actions of a man she would have once happily called husband. The kingdom she could have ruled was left in ruin, the brief glimpse of a bright future nothing but ash. So Jaina looked to the future instead, and led her people across the sea — to Kalimdor. That’s the thing about Jaina. She comes from this space of tragedy, yet she consistently looks for the best in people. Even, in Kalimdor’s case, with the Horde. Jaina and her people may have clashed with Hellscream’s troops, but all fighting ceased once she discovered who the prophet was. Medivh told Jaina to trust and ally with Thrall and Cairne — the fate of the world depended on their cooperation. So Jaina did. Between her forces, the Horde, and the Night Elves, they managed to stave off the Burning Legion. Together, they defended Mount Hyjal. And although the World Tree Nordrassil was destroyed, the world was saved. Little wonder, then, that Jaina looked to the Orcs as potential allies. They’d served together in battle, fought side by side. During the Third War, Jaina saw what could come out of an alliance — she saw hope for the world. Her father wasn’t one to agree. Lord Admiral Daelin Proudmoore was not only the leader of Kul Tiras, he was the Grand Admiral of the Alliance fleet in the Second War. He’d seen firsthand what the Horde was capable of. He lost his son at their hands. And as far as he was concerned, there was no way he would allow the Horde a foothold in Kalimdor — not if it meant potentially losing his daughter as well. Jaina tried to convince him otherwise, but he wouldn’t listen. And once again, Jaina had a decision to make — this time, far more personal than the last. Choose her father and his old hatreds, or choose the new allies she’d made. 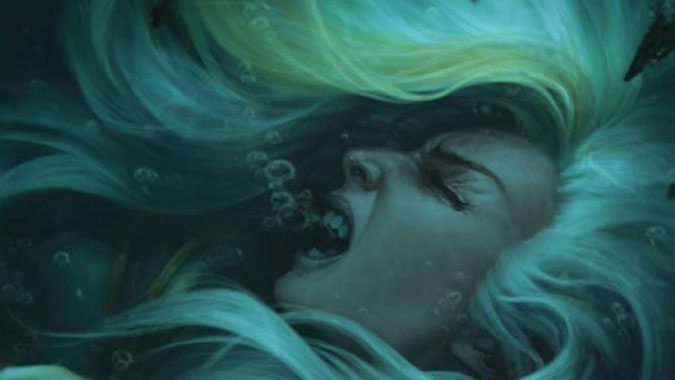 Jaina witnessed horrors the likes of which threatened the very world. In the vast scope of these atrocities, petty factional vendettas meant little. So she made her choice. And her father died at the Horde’s hands. That decision wasn’t made out of malice toward her father. It was made for the same reason she left Arthas behind in Stratholme — because she believed in her heart that it was the right thing to do. The world was an ever-changing, ever-shifting thing. It was constantly in peril from forces that most could scarce begin to comprehend. Jaina witnessed just a fraction of what the Burning Legion was capable of during the Third War. But it was enough to realize there were bigger battles to be fought in the world, battles that required cooperation, alliances, united armies — diplomacy. Unfortunately, the rest of the world didn’t see it that way. While Jaina and Thrall quietly pushed for cooperation, both Horde and Alliance fought them every step of the way. King Varian was unwilling to put aside the murder of his father, or his own capture. Garrosh Hellscream served as a loud and vocal opponent to Thrall’s talks of peace. Yet the two persisted in their attempts to try to forge some kind of connection between the two factions. In the midst of it all, one of those bigger battles popped up — led by a thing that wore the face of her dead fiancé. The Alliance and Horde rose to the challenge, biting at each other’s heels in between fighting the Scourge. And Jaina was forced to carry on, despite the heavy question haunting her heart. Was there still a part of Arthas within the Lich King, a spark that could be saved? Even though that question lingered, she fought through it and continued her mission of diplomacy. But each move she made to halt the fighting between Alliance and Horde was nothing more than a temporary stall. Eventually, even Thrall would make his choice and depart. The explosion that rocked Theramore wasn’t just a herald of the city’s ruin. It was the destruction of all of those ideals Jaina had been steadfastly carrying her entire life. In one moment, everything she’d been fighting for was proven horribly wrong. There was no diplomacy to be had. The Horde wasn’t interested in peace — just Thrall. And once Thrall left the picture, the Horde turned on her, and her world crumbled to violet ash. At long last, Jaina came to the conclusion that her father and the rest of the Alliance had held — that the Horde were monsters. Yet once she’d come to that conclusion, the world flipped its view. As the newly-appointed leader of the Kirin Tor, Jaina dutifully held to neutrality — until the Horde Mages went behind her back. They allowed Hellscream access to an Alliance city, and another powerful artifact — one just as capable of destruction as the mana bomb that had wiped out her city. Infuriated, Jaina threw the Horde out of Dalaran, closed its doors to the Horde, and pledged the city to the Alliance. And yet…when King Varian was presented with the opportunity to dismantle the Horde, he turned it away. At Garrosh Hellscream’s trial, Jaina seemed to come around a little, convinced in part by her new lover Kalec…but only a little. Dalaran remained allied with the Alliance. When Khadgar traveled to Draenor, he ignored her warnings and worked with the Horde as well as the Alliance. 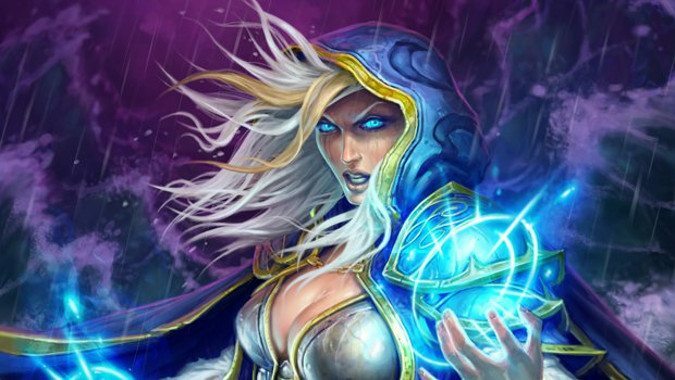 The Legion returning to Azeroth should have been Jaina’s big moment. This was a battle she’d fought before. But by the time we visit the assault on the Broken Shore, Jaina’s perception of the Horde has irrevocably altered. She watches Tirion Fordring die. She’s there when Varian sacrifices himself so that the Alliance can flee. She witnesses the Horde’s apparent betrayal. And the enormity of it all is infuriating. Because suddenly, both Anduin and Velen are saying they need to focus their efforts on the Legion — not on the Horde. And Khadgar is telling her they need to allow Horde Mages back into the Kirin Tor, the Horde should be allowed to freely walk the streets of Dalaran again. When she protests, Khadgar holds a vote on the matter — and he wins, 4-2. Betrayed, Jaina leaves…and noticeably, Kalec stays behind. 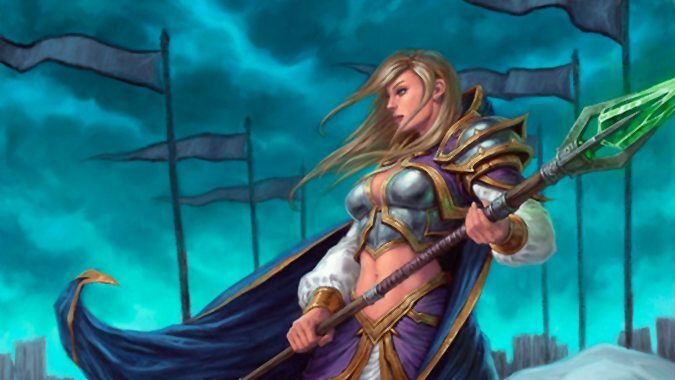 That’s the last we see of Jaina Proudmoore…for now. Jaina has been through a lot. She spent a great deal of her life fighting for diplomacy and being told she was in the wrong. Once she was proven wrong, her viewpoint switched — and she was once again told she was in the wrong. She’s lost everything she’s ever loved, in the name of trying to do what was right for the world. She sacrificed her own father in the name of diplomacy, and Garrosh Hellscream proved her father right. What lessons does a woman take from a life like that? What does she become in the face of repeatedly being told her beliefs are incorrect? 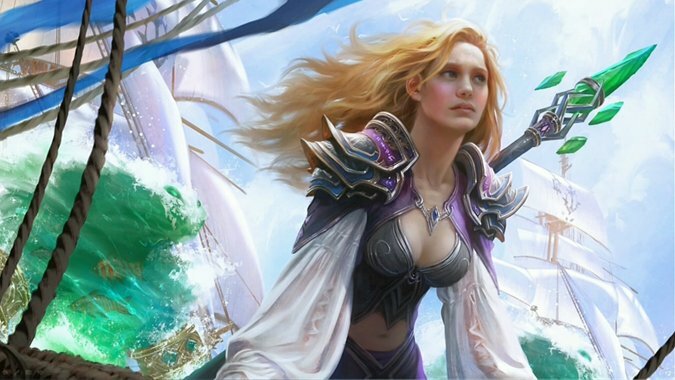 Jaina’s spent a lifetime as a sail against the wind, trying to propel the rest of the world forward into an ideal future. Yet no matter which direction she faces, all she hears is opposition. Any other person might crumple beneath the weight of it all. But if Jaina has proven anything over the course of her lifetime, it’s that she’s resilient. She possesses an almost inhuman strength of will. What she’s done with that strength remains to be seen — but Battle for Azeroth should hold some answers.